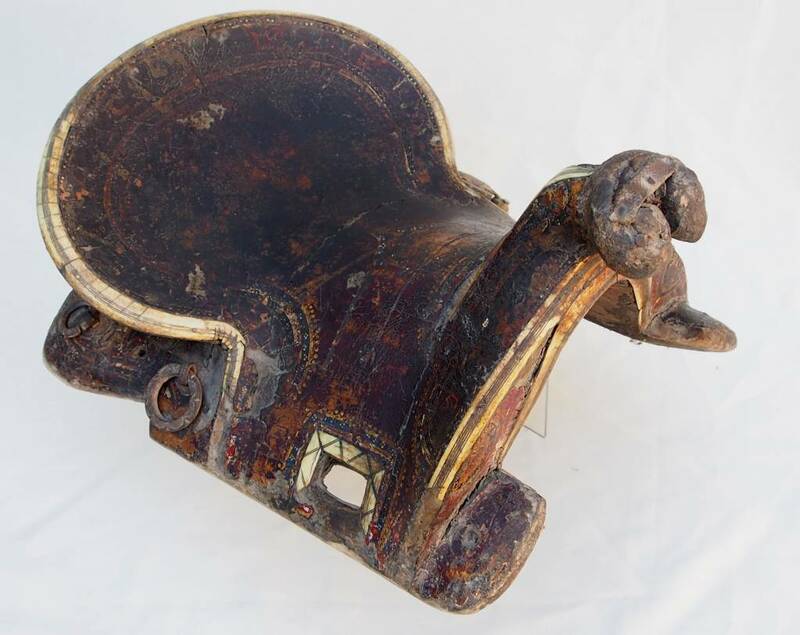 Antiker islamischer Holz gemalt pferde Sattel aus Usbekistan oderTurkmenistan 18/19 Jh..
Rare Antique islamic turkmen Uzbek, wooden painted horse saddle 18th/19th century. 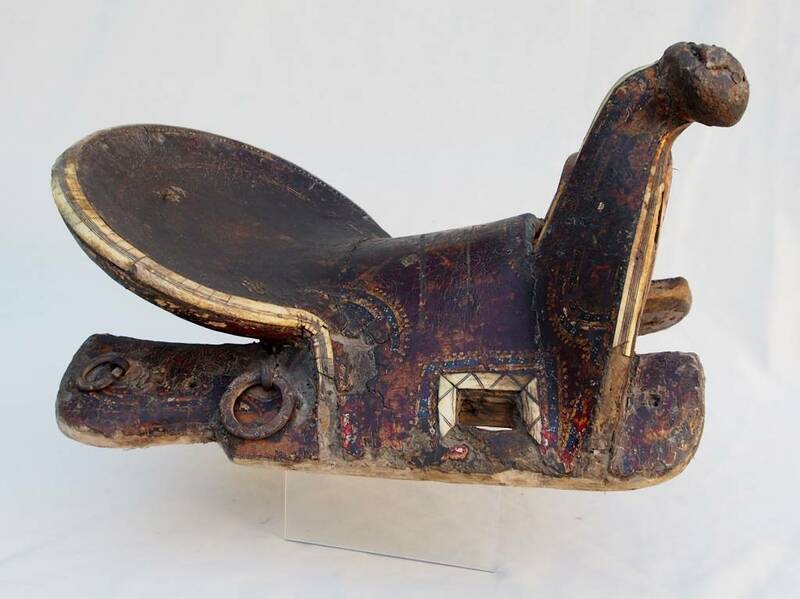 Rare Antique 18th/19th century Islamic wooden horses Saddle from Uzbekistan or Turkmenistan. 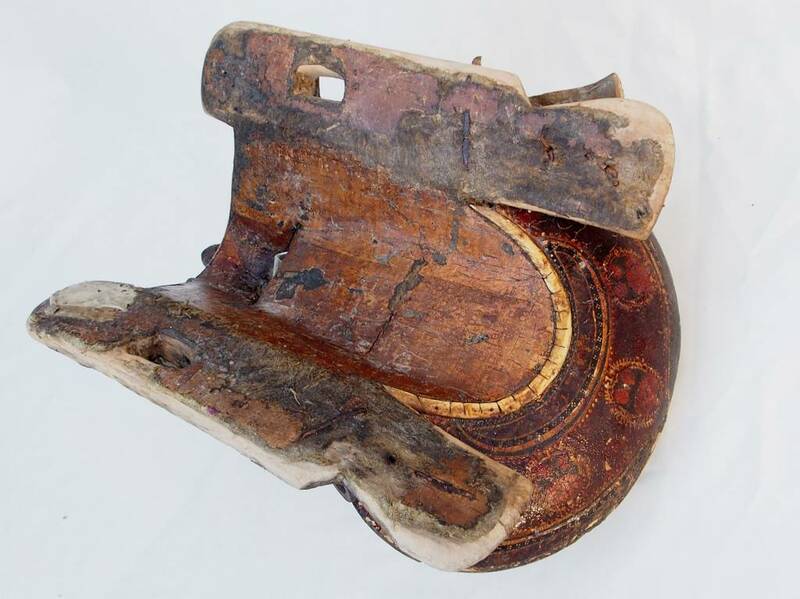 Here's a wooden horse saddle from Uzbekistan or Turkmenistan. 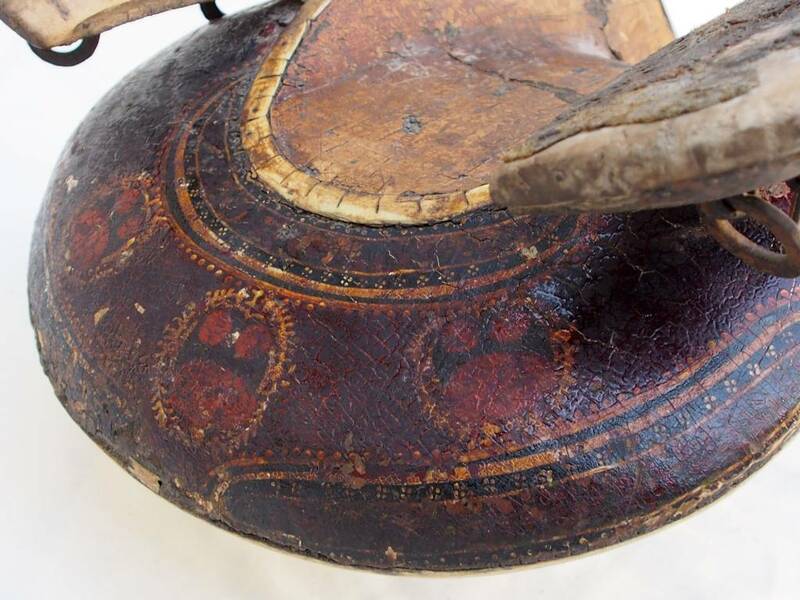 The wood has been painted and overall golden Ivory Cream, inlaid with carved bone (both decorative and reinforcing, at points of wear) with traces of green, white and black floral detailing. 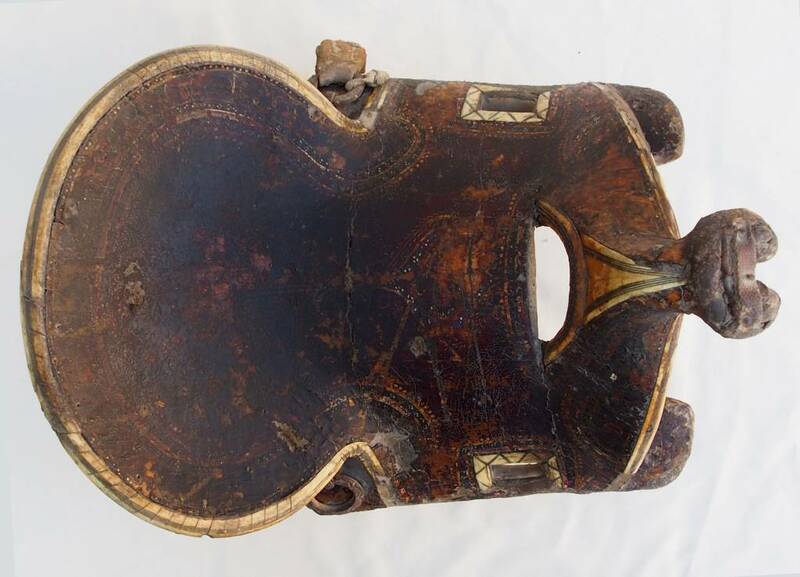 The hard wooden saddle with its high pommel, was designed to take the wound reins as the rider stood in his stirrups with his hands free. 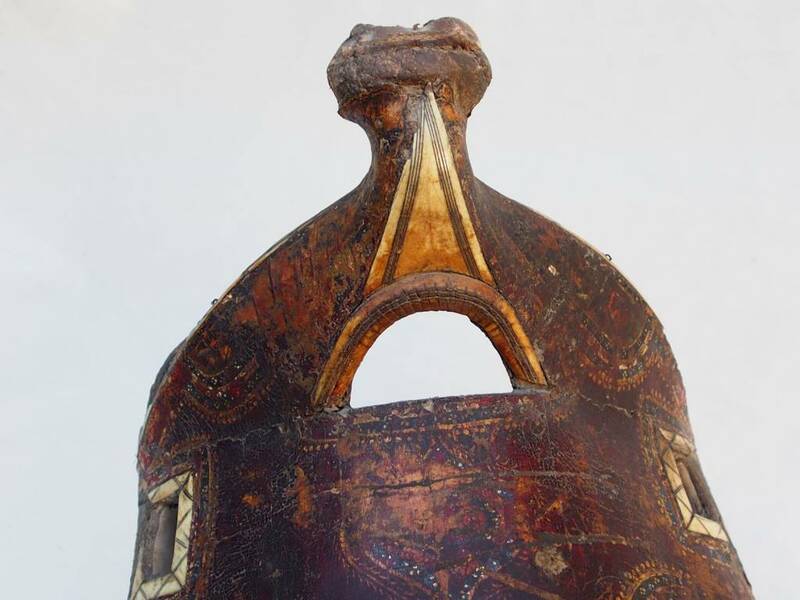 This allowed him to shoot arrows whilst gallopping, even turning to shoot backwards, when doing the classic Mongol "feigned retreatâ? manouvre that won so many battles against much larger armies. The metal rings and fittings have a very hand forged beaten feel and have now acquired a dark patina with very little rust evident. 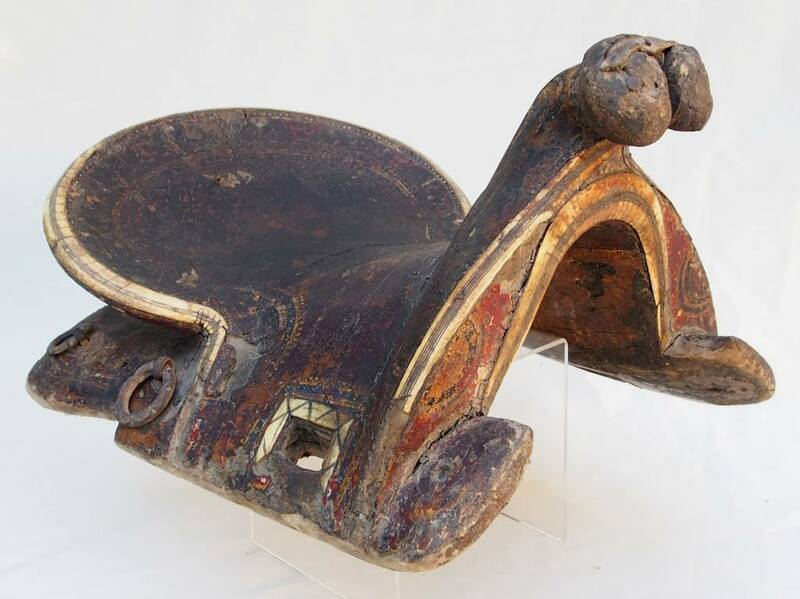 There is a good example of one of these saddles illustrated in "Central Asian Artâ? A wooden saddle in Bukhara Museum, however it's in better condition. 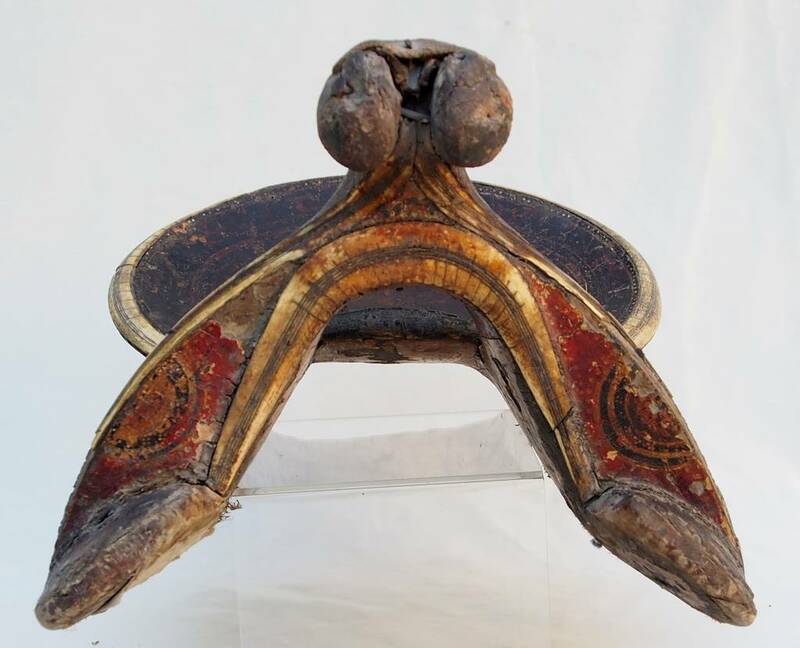 For the Turkoman Horse Breeder or Museum, this piece is showing its age, and has some (5%) of its bone missing, but is very authentic and quite evocative. 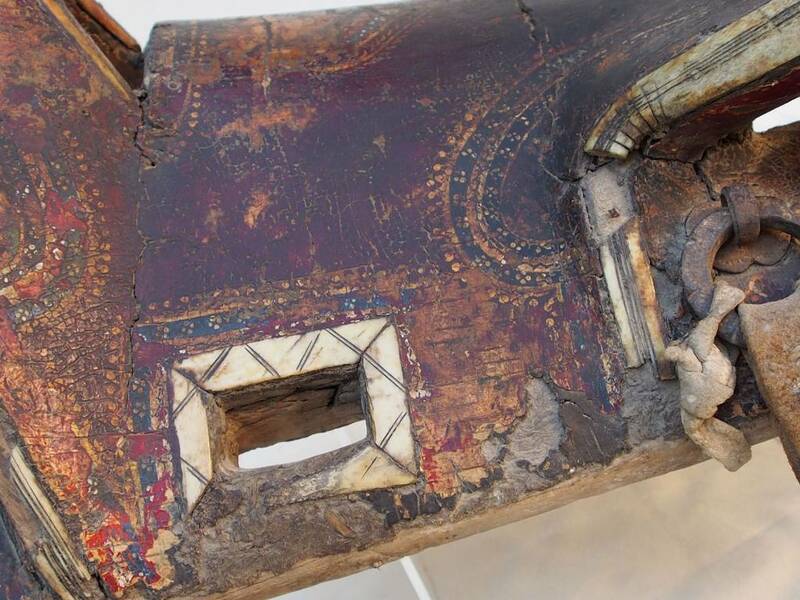 There is a section of paint and about 15 cm of bone missing on one side of the pommel but turned the other way it's not visible. 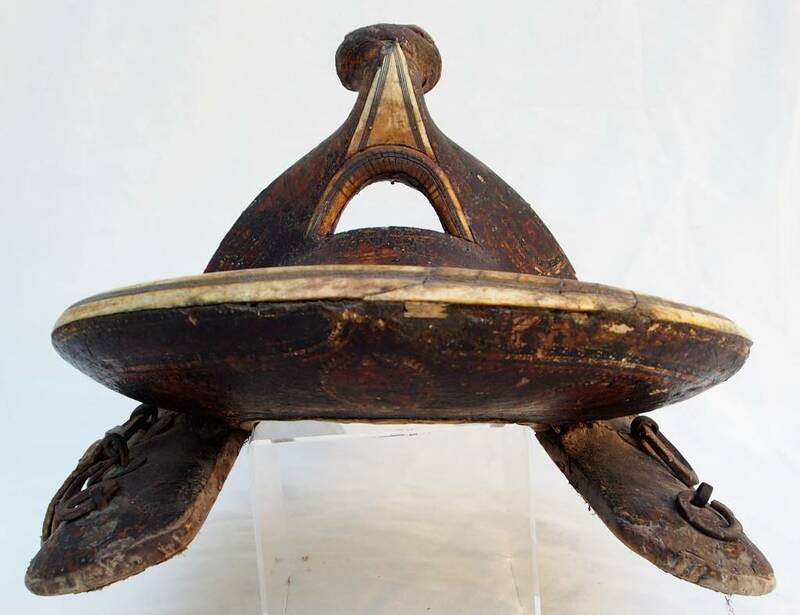 THIS TURKMEN HORSE SADDLE IS GUARANTEED TO BE AUTHENTIC ANTIQUES, AND NOT REPRODUCTIONS.